Garden Club of America Scholarships offer a total of 26 different merit-based scholarships for students pursuing studies in coastal wetlands, garden history and design, conservation and ecological restoration, horticulture, desert studies, landscape architecture, native bird habitat, and urban forestry. Some scholarships are open to both undergraduate and graduate students. For example, the Garden Club of America Summer Scholarship in Field Botany offers scholarships to both undergraduates and graduate students up to the Masters degree level. Other scholarships such as the Garden Club of America (GCA) Award in Coastal Wetlands Studies is strictly for graduate students who are studying coastal wetlands science. Eligible students must be enrolled in a four-year program at a U.S. college or university. Some scholarships require full time college attendance and others allow part-time attendance. In addition to the application, students must write an essay describing why these chose their field of study and how the scholarship will help them achieve their career goals. 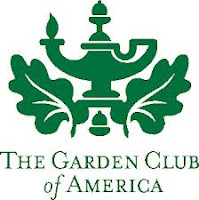 The Garden Club of America was established in 1913 as a volunteer non-profit organization and today has more than 18,000 members. Through 200 member clubs they promote the value of community improvement through horticulture and environmental protection. Each year they award over $200,000 in scholarships to deserving students wanting to make a career out of a very specialized area of study. The deadline for this scholarship VARIES, and the award amount is usually $2,000 - $5,000.